Cleaning muffin tins can be a nightmare. 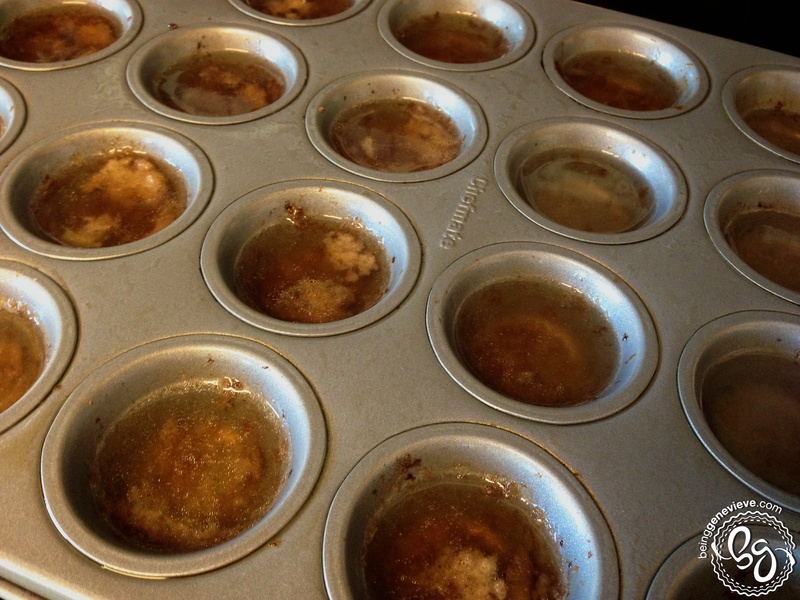 They get all crusty and stuck on after doing a few batches. I used to fill them with hot water and let them soak in the sink for hours, but they took up the whole sink! I now have an amazingly fast and easy solution. 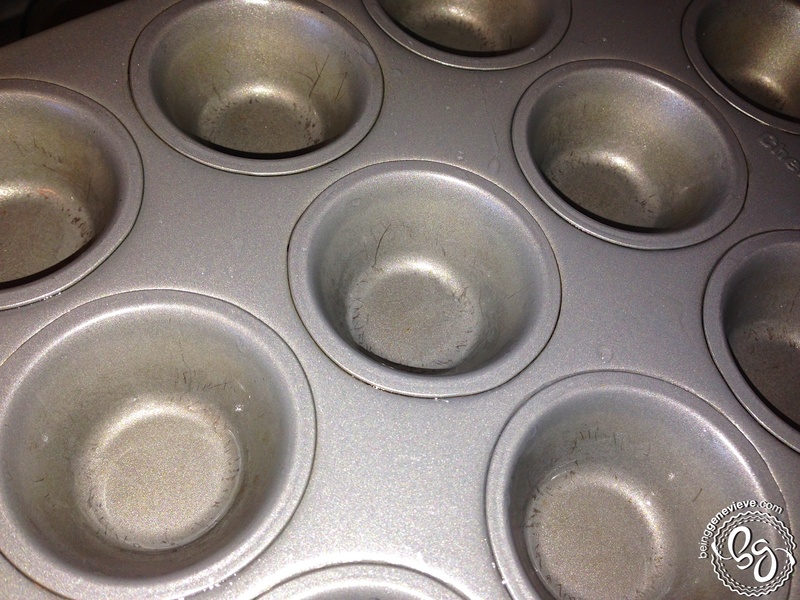 Step 1: Fill muffin tin with water. 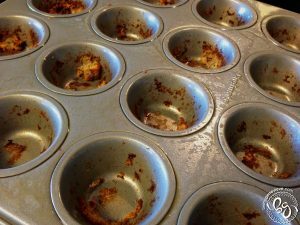 I fill each muffin hole about 2/3 full. Step 2: Place into oven. I turn off my oven once my last batch of muffins in done. After removing the last batch of muffins, I immediately fill my muffin tin with water, while it is still hot, and place into the hot oven. Step 3: Cook in oven. I leave in the oven for 8-10 minutes. Note: Set a timer or you will forget. Step 4: Dump and Clean. 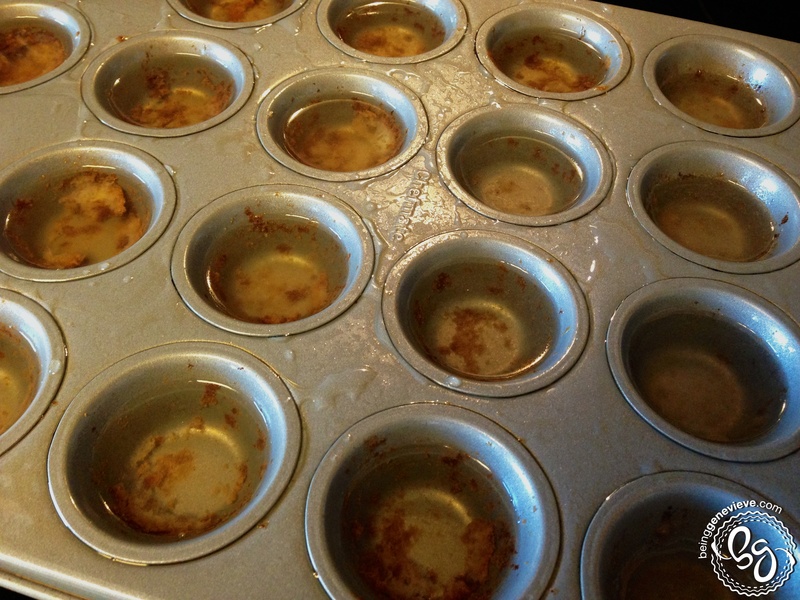 Remove from the oven and dump the very hot water out. Wipe away the softened crust with a brush or cloth and rinse. Now you have a perfectly clean muffin tin without any “elbow grease” and without soaking a large pan in your sink for hours! Note: Mine is clean, it just has several scratches and is discoloring over time.